It’s time to take a good honest look at yourself and take stock of your skills, talents, and desires. If you will spend most of your life working, the wisest thing you could do is to put both your mind and your heart into building a career… HETS has a Career Exploration Tool to assist you in this endeavor. What careers are best suited to my personality? Where would I like to live? Can my bilingual skills really give me an edge? Do I know how to wrote a Resume? Am I prepared for an Interviewing Process? 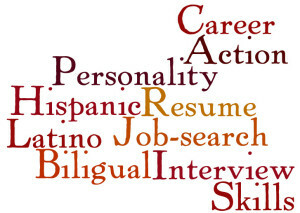 Visit the Career Exploration Module to find the answers and more!